The family of late wildlife expert Steve Irwin are returning to TV screens with a new series “honouring Dad”. Continuing the legacy of the fearless Irwin, who was killed by a stingray in 2006, his family will star in Crikey It’s The Irwins, due to air on Animal Planet. Wife Terri and children Bindi and Robert Irwin will be documented as they care for more than 1,200 animals at the family-owned Australia Zoo in Queensland. The series will see the family continuing Irwin’s conservation and rescue mission at the sprawling zoo, caring for wild and dangerous creatures – including a crocodile recused by the late and daring wildlife expert himself. Young Robert will be following in his father’s footsteps and feeding the monstrous reptile himself. He said: “It’s all about really honouring Dad, because when something like that happens, if you lose someone so close to you, it’s easy for it to just all get too much. 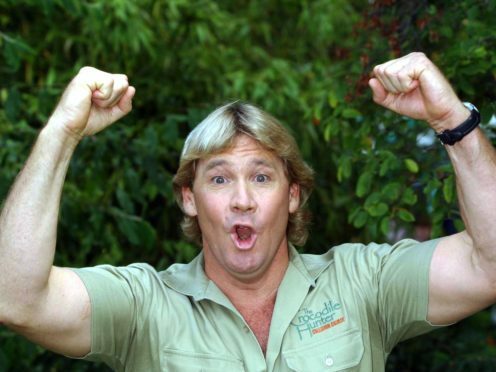 Irwin was launched to stardom with The Crocodile Hunter, which made him a household name for his fearless handling of dangerous animals, as well as his thick Australian accent. His family would often feature on his shows, even being handled as babies next to potentially lethal animals. Crikey It’s The Irwins will air on Animal Planet at 8pm on Sunday night.